Shyness is a major adjustment problem in the psychopathology of everyday life. Surveys reveal that about 40% of Americans consider themselves to be shy, and that over 80% of these people do not like being shy (Pilkonis, 1977a; Zimbardo, 1977). 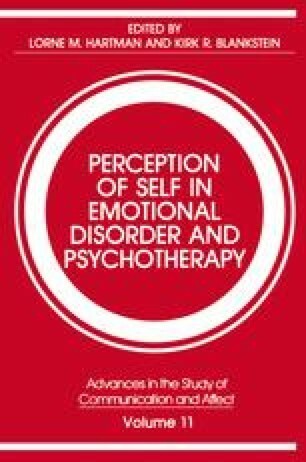 Psychotherapist Sheldon Kopp (1976) has observed that “neurotic shyness constitutes a significant portion of the burden of needless suffering borne by the men and women who seek my help” (p. 28). Recently, research psychologists have begun to direct a great deal of attention to the study of shyness (e.g., Buss, 1980; Jones, Cheek, & Briggs, 1986; Leary, 1983). The purpose of this chapter is to present this research in a framework that is organized in terms of the shy person’s self-concept. After defining shyness, we begin by considering a structural model of dimensions of self-esteem. Next, we examine the dynamics of shyness as revealed in self-concept processes, such as attributions, memories, and the focus of attention. Then we consider shyness from the perspective of self-presentation theory. Finally, we discuss the degree of accuracy found in comparisons of shy people’s self-perceptions with ratings made by observers.